Nearly 1,000 guests are expected to visit this year's SWE Industry Day on Oct. 19. This month, Northwestern’s Society of Women Engineers (SWE) will kick-off the recruiting season with its 30th annual Industry Day. 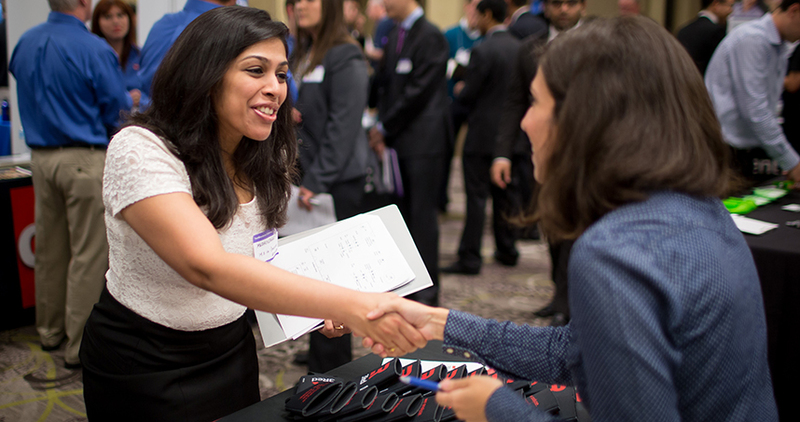 Northwestern’s largest engineering and technology career fair, SWE Industry Day will take place from 4 to 9 p.m. on Thursday, October 19 at the Hilton Garden Inn in Evanston. At the event, nearly 60 companies, including 3M, Microsoft, Pfizer, Procter & Gamble, Baxter Healthcare, and Walt Disney Parks and Resorts, will meet with current students and alumni to find full-time employees as well as summer interns and co-ops. Open to all Northwestern students and alumni, SWE Industry Day organizers expect as many as 1,000 visitors. As Wildcard is required for entry, and business attire is strongly encouraged.